(W) Dave Thompson Vinyl records are Back in Black. 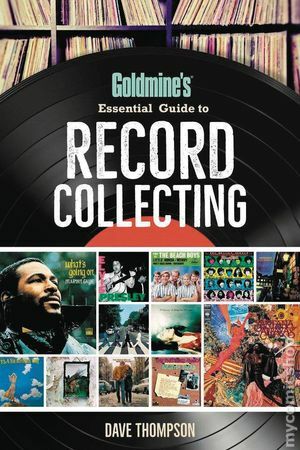 And this how-to guide is the perfect reference for the millions of young vinyl enthusiasts - as well as an older crowd returning to their vinyl roots. You will find chapters on collecting individual artists and genres (Beatles, Elvis, the Rolling Stones, Psych, Punk, Surf, Northern Soul and many others taking you through the advent of vinyl to today. Dave Thompson discusses the greatest rarities on the market, grading, artwork, the keys to successful buying and selling, colored vinyl, picture discs and a host of other cool topics sure to light the fire to those new (and old) to the vinyl party. Cover price $17.99.